Inheritance tax can be confusing and daunting. How does it work? 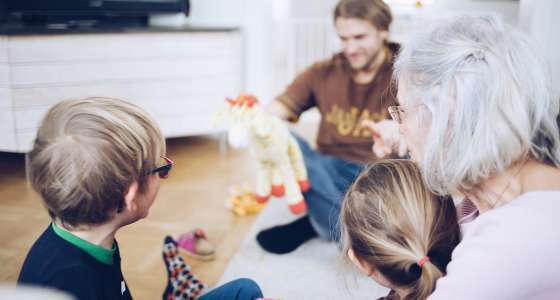 What does it mean for my kids and grandkids? How does inheritance tax affect my money? Don’t worry, it’s a lot less confusing than you think! Once you understand how inheritance tax works, it’s a lot easier to see how it applies to you and your family. We’ve put together a handy guide to help you make sense of inheritance tax so you can prepare better for the future. Inheritance tax is paid on your estate when you die. Your estate includes any property, possessions, and money that you own. You only pay inheritance tax under specific circumstances. Whether inheritance tax is charged depends on the total value of your estate and who your beneficiaries are. Inheritance tax is only paid in specific circumstances. Inheritance tax doesn’t need to be paid if you leave your estate to your spouse or civil partner. Inheritance tax isn’t paid if you leave your estate to a charity or a community amateur sports club, either. If you have not left your estate to your partner or a charity, then inheritance tax is only paid if the value of your estate exceeds a certain threshold. As standard, inheritance tax is paid on estates worth £325,000 or more. If you leave your home to your children or grandchildren, this threshold increases to £425,000. What if I don’t use my whole threshold? If you’re married or in a civil partnership, and your estate is worth less than the appropriate threshold, then any unused amount can be added to your partner’s threshold when you die. This means that your partner could have a threshold of up to £850,000 before inheritance tax applies to their estate. The standard inheritance tax rate is currently 40%. This rate is charged only on the amount of your estate that exceeds the threshold. For example, if your estate is worth £500,000 and your tax-free threshold is £325,000, then inheritance tax is paid on the amount exceeding £325,000. Inheritance tax is therefore charged on £175,000 at a rate of 40%. If you leave 10% or more of your estate to charity, then a reduced tax rate of 36% can be paid on your assets, instead. Who actually pays the tax? The person dealing with your estate, called an executor, will arrange for the tax to be paid using funds from your estate. The people who inherit your estate (your beneficiaries) don’t usually have to pay tax on what they inherit. An exception to this is that inheritance tax must be paid on some gifts. Gifts are things with a value, like money, possessions, and property, that are given to another person. There’s no inheritance tax charged on gifts given to your spouse or civil partner. For gifts given to others within the last 7 years, inheritance tax is charged on values over £325,000. 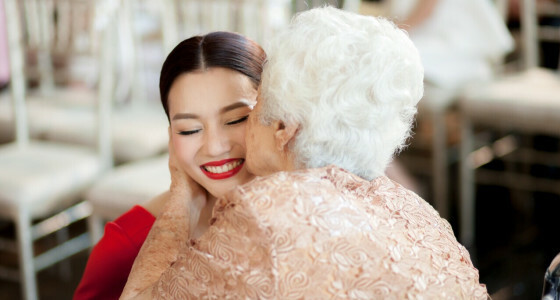 The inheritance tax rate charged on eligible gifts is tapered depending on how recently the gift was given. For example, if the gift was given in the last 3 years, the standard rate of 40% is charged. If the gift was given between 5 and 6 years ago, however, then a rate of 16% is charged. To see how much tax will be charged on a gift given within the last 7 years, check the tapered relief chart. Some gifts are exempt from inheritance tax, including wedding gifts of up to £1,000 and gifts to charities. Are there any other exemptions or reliefs? There are other reliefs that may be applicable that can exempt your estate from inheritance tax, or at least reduce the rate paid. For example, the government offers Business Relief on business assets like property, some shares, and machinery. If your business assets receive Business Relief, then the value of these assets is reduced. This means you may come in under the inheritance tax threshold, or that the value of your estate above the threshold is smaller than it would be without Business Relief. Always check to see what inheritance tax rules apply to your situation. For instance, leaving your home to your spouse when you die does not result in any inheritance tax charges. However, your home will count as part of your estate - and therefore be eligible for inheritance tax charges - if you leave your home to your kids instead. How is my pension affected by inheritance tax? Inheritance tax is not usually paid on a lump sum taken from a pension. In addition, if you haven’t drawn from your pension yet, it is not included as part of your estate. This means that inheritance tax won’t be paid on it. To learn more, take a look at our blog post. What if I die after moving abroad? If you live abroad, you only need to pay inheritance tax on assets in the UK. It counts as living abroad if you’ve lived outside the UK for at least 3 years in the last 20 years. In addition, you cannot have had a permanent UK home in the final 3 years of your life. Inheritance tax doesn’t have to be scary, once you understand how it works. Do you have any more questions about inheritance tax? Drop us a comment below.